This fantastic resource will be released on April 18, 2013, according to Christianbook.com. 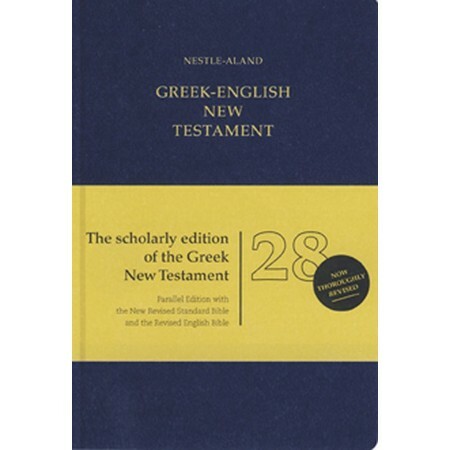 The standard Greek edition, without the NRSV or REB, will be released in mid December. This edition of the Greek text has long been generally thought to be the most comprehensive edition available. I think that would still be the view of most academic scholars in the field. Certainly most questions concerning the basis for specific Greek readings can be determined from it. I believe the 28th will be the newest and most up-to-date edition. I think it is interesting that the added the REB translation to the book. You knew that the NRSV would be there. Is this published in England? If so, maybe the REB is still used by more than a few people there. I'm in Britain, and I don't think I've ever seen an REB other than on my (or someone else's) bookshelf. I like it as a translation, although I prefer the untamed quirkiness of the NEB.